Study with an accomplished teacher with a passion for piano, performance, and education! I have 8 years of teaching experience and 20 years of playing experience as well as a B.M. and M.M. 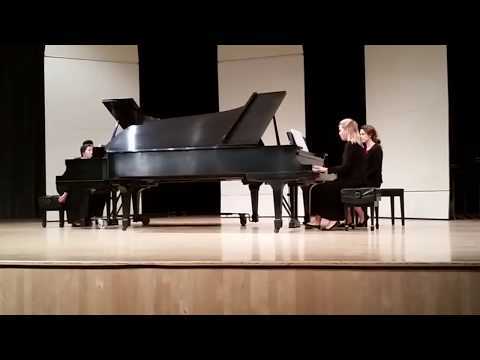 in piano performance. In lessons I create individualized plans for students focusing on technique, note reading, rhythm, theory, performance practice and interpretation. I have studied piano pedagogy in college as well as on my own to help evaluate students on their strengths and weaknesses as well as their preferred learning modalities to find the best possible methods for them to meet their creative goals. My education and experience allow me to provide a very high level of instruction and am able to serve students of various backgrounds, abilities, and ages. I can also help guide interested students through competitions and college auditions. With me as your instructor you will not only develop skills for piano, but gain a deeper and more personal understanding of music in general. Dorothy delivers an exceptional lesson experience and ranks in the top 15% of our teachers nationwide. Greetings! 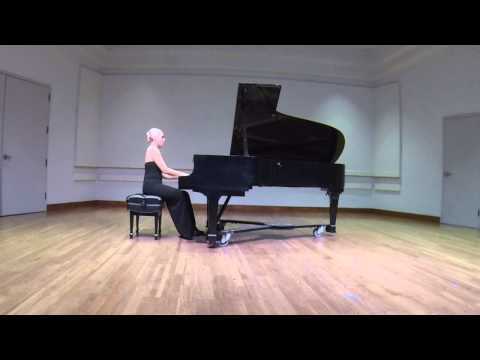 As a classical pianist, I have been playing and performing for 20 years and have been teaching for 8 years. I have received a conservatory style education and possess a Bachelor's of Music in Piano Performance from the University of Redlands and Master's of Music in Piano Performance from Bob Cole Conservatory at CSULB. I currently serve on the board of director's for the University of Redlands Summer Piano Camp where I teach classes on art, sight reading, and coach advanced ensembles. I also am a staff accompanist at the University of Redlands and am also a freelance accompanist for vocalists and instrumentalists. I graduated from the prestigious Idyllwild Arts Academy for high school and first attended their summer program at 15. I received an invitation and played in the Oberlin International Youth Piano Competition at age 16. I won awards through MTAC and MTNA as a student. At the University of Redlands I was a recipient of the Mary E. Lehigh Endowed Music Grant and a winner of the highly competitive University of Redlands Concerto Competition. I performed as a soloist with the University of Redlands Symphony twice, the first being MacDowell's 2nd Piano Concerto in D Minor Op. 31 and Saint-Saens' Carnival of the Animals. While pursuing my Master's of Music degree I was selected to perform as a soloist and collaborator in numerous concerts on and off campus. I also received a Graduate Research Grant and published my Master's thesis while in attendance. My primary teachers have been Louanne Long and Dr. Shun-Lin Chou. As a teacher I work towards the individual's needs, identifying strengths and weakness and learning modalities to create a specialized lesson plan to help the student excel and meet all their artistic goals. I focus on a holistic approach to education and not only teach playing and note reading but also rhythm, ear training, theory, performance practice and interpretation. It is only through a well rounded approach that one may truly master this craft. I have high expectations for my students and I know they have high expectations of me as well. I teach out of my teaching studio in my quiet and private home where I have both a Schumann 6'3 grand piano and a Baldwin upright. Both pianos are very well taken care of and in excellent condition. Accompanying college students for juries, assessments, and recitals. Assess the levels of all students attending the program and place them into appropriate ensembles. Assign well matched ensemble coaches and find level appropriate repertoire for each ensemble. Coach intermediate to advanced middle and high school students on an ensemble work for a recital. I teach two classes each summer. One if Art and Music and focuses on the relationship between music and visual art. We look at different time periods and genres including but not limited to Baroque, Romantic, Jazz, Ragtime, and Ultra Modernism. The students then create their own visual representation of sound through collage for each time period/genre we discuss. At the end of camp they then have a visual sonic timeline! I have been teaching privately students ranging in age from 4-85 and levels from complete beginners to advanced. Award given each year to two outstanding pianists based on overall success in their area. A coveted grant only given to selected students who have high GPA's and show promise to advancing research in their field. Phi Kappa Phi's mission is "To recognize and promote academic excellence in all fields of higher education and to engage the community of scholars in service to others." 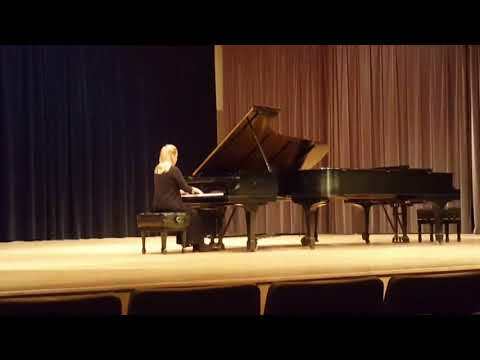 During the finals of the concerto competition. 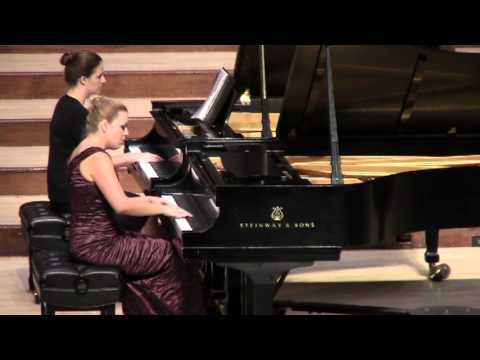 Snippet of MacDowell's 2nd Piano Concerto in D minor. 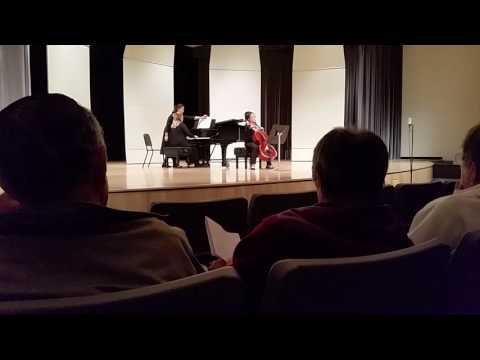 Beethoven 2nd Cello Sonata in G Minor Accompanying my great friend Caroline Chien.